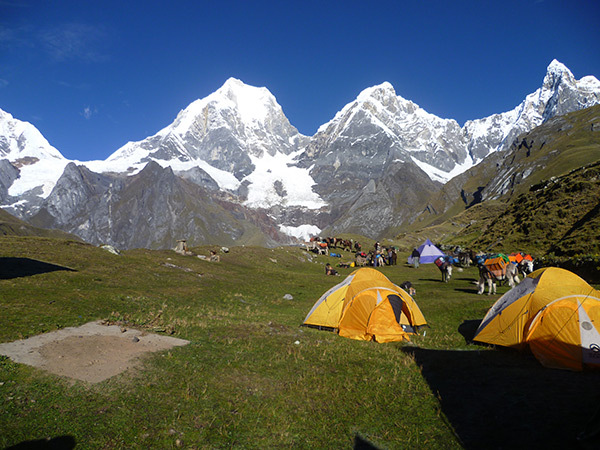 Huayhuash mini Trek 4 days is considered a special short version of our classic Huayhuash Mini trek circuit. 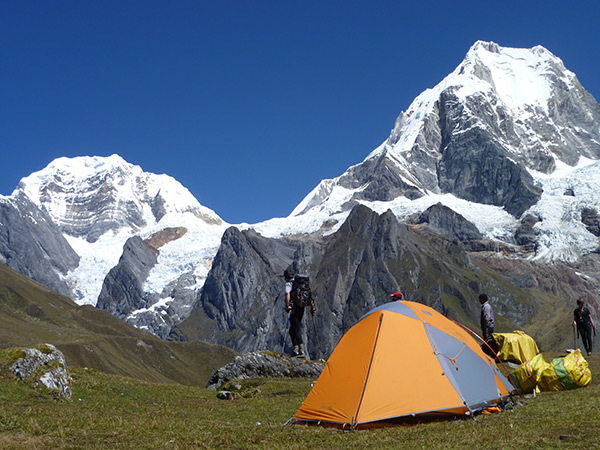 In 4 days this adventure trekking program takes you through the heart to the remote Cordillera Huayhuash mountain range Here is a selection of the most famous Huayhuash mountains: Yerupaja, Rasac, Hirishanca, Ninashanca, Rondoy and others. You will see grandiose and magnificent scenery, beautiful Andean grasslands and always be surrounded by the magnificent and rebellious mountains, some of which are over 6,000 meters high. You spend a few nights at the Laguna Jaguacocha, which reflects the mountains, giving you fantastic views. You walk 4 full days, crossing a height of 4,800 m and spend a day at the Laguna Jaguacocha to around 4,100 m for recreation and leisure time. The nights are spent in tents and enjoy the night quiet hills. 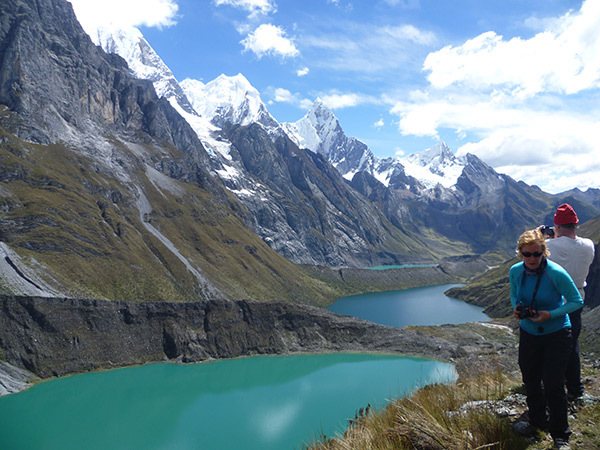 ( tour to Churup Lake 4,450 ) acclimatisation day, with the option to make the 5- 6 hours round trip towards a view point to Laguna Churup (4450m), for views of Cordillera Blanca the impressive peaks. Hostal. Day 02: Pocpa – Palca – Matacancha. Day 03: Matacancha – Sambunya pass 4,700m. – Jahuacocha. 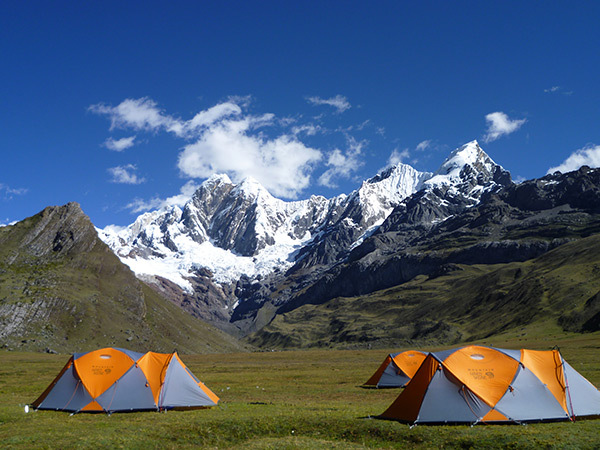 We climb to the first pass, the sambunya (4700m) beautiful views of the mountains as jirishanca jerupaja rastac , then descend to a camp at 4100 m. above Laguna jahuacocha and beneath the impressive peaks of Yerupaja Grande , Yerupaja Chico and Jirishanca. Day 04: Jahuacocha – Pampa Llamac pass 4,300m. 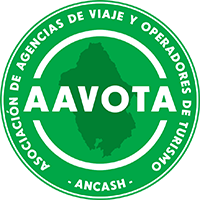 Llamac – Huaraz Hotel. After our last breakfast we have to go down for 30 minutes and then go up to last pass pampa llamac our last viwes of the cordillera huayhuash and then llamac our car will be waiting for us , drive to Huaraz hotel.